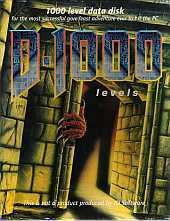 This is an unofficial collection of 1000 add-on levels and resources for the computer games Doom and Doom II, originally sourced from various defunct on-line archives, compiled and distributed by WizardWorks entertainment. The CD has an Installation menu. The package has single- and multiplayer maps. It has a manual with instructions on how to install.